Providing you the best range of King Pin Shaft, Housing Pin, Pivot Shaft, Grooved Pin and Pin with effective & timely delivery. 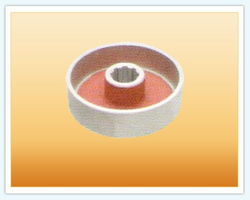 Pioneers in the industry, we offer Brake Drum, Side Arm, Ram Arm and Crank Pulley from India. We are a leading Manufacturer of Top Link Ends, I Bolts and Ball Without Collar from Ludhiana, India. Providing you the best range of Steel Bush, Bi-Metal Bush, Bronze Bush and Gun Metal Bush with effective & timely delivery. Prominent & Leading Manufacturer from Ludhiana, we offer Stud, Castle Nut, Bolt, Hex Nut and Steel Nuts. Our range of products include King Pin and Tie Rod End. Providing you the best range of Forged Components with effective & timely delivery. By: Raj Amar Sugar Chains Pvt. Ltd.